Oxalis, or shamrock plant, is an easy-to-grow houseplant valued for its delicate, clover-shaped leaves. Although shamrock plants are usually bright green, oxalis is also available in shades of maroon and deep purple. Depending on the variety, the blooms may be white, purple, yellow, pink or red. Divide oxalis and create new plants by transplanting small oxalis bulbs into separate containers. Divide oxalis after you see new growth in spring, which indicates that the plant has emerged from its winter dormancy. Lift the oxalis plant carefully from the container. Use your hands to separate the small bulbs growing from the larger, main bulbs. Replant the main bulb in its container. Fill a planting container with commercial potting mixture. Use a container with at least one drainage hole in the bottom. Plant the small oxalis bulbs in the new container so the bulbs are just under the top of the potting soil. Water the newly-planted oxalis immediately. Keep the soil evenly moist and never allow it to dry out completely. Place the newly divided oxalis in low sunlight. Move the plant into bright light when you see new growth, indicating that the oxalis has successfully established in its new container. Locate the plant in a warm room with temperatures between 70 and 75 degrees Fahrenheit, and nighttime temperatures about 10 to 15 degrees cooler. 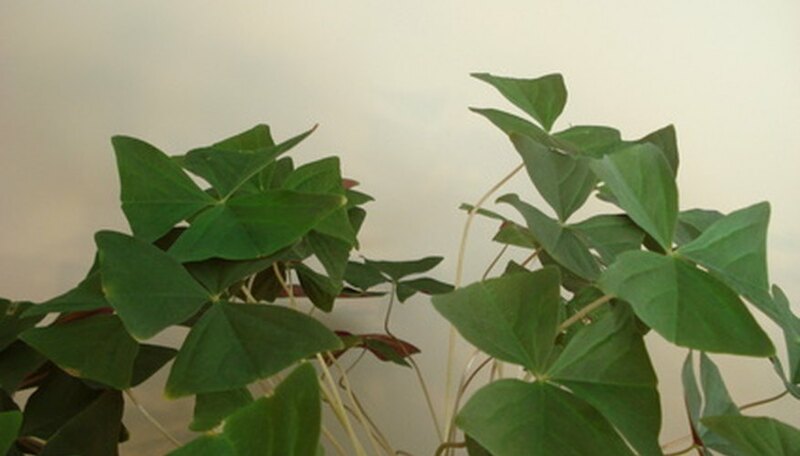 Feed the oxalis plant every two to three weeks, beginning when you see new shoots. Use a regular fertilizer for indoor plants and follow the manufacturer's instructions. If you want to give divided oxalis plants as St. Patrick's Day gifts, divide and transplant the bulbs in autumn, before the plant enters winter dormancy. Who Makes Sears Craftsman Mowers?